Plantae Turkestaniae, prov. Turgai, Syr-Darja, Transcaspia, Sary-Yazy, on clay, 30.V.1911, N.Androssow. 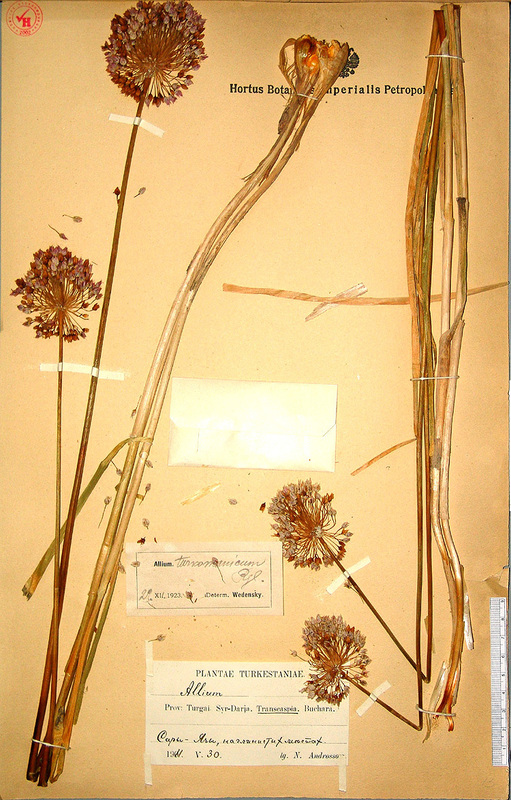 There are printed title "Hortus Botanicus Imperialis Petropolitanus" and the State Emblem of the Russian Empire on the herbarium sheet.The label is printed, place and date of collection is written by hand.